When you’re marketing your self-published book, a robust, thoughtful approach that incorporates blogging, facebooking, tweeting, and other networking relevant to your target audience is, of course, necessary. But don’t let the Facebook frenzy eclipse the benefits of good ol’ fashioned email marketing. Some people think that, in digital terms, email has gone the way of the dinosaur. And those people are missing out on one of the best opportunities out there to boost their sales. True, people are inundated with emails, but no more than Twitter feeds are glutted with irrelevant links and hashtags. And email still accounts for a staggering percentage of all Internet traffic. In short, it’s not going anywhere. 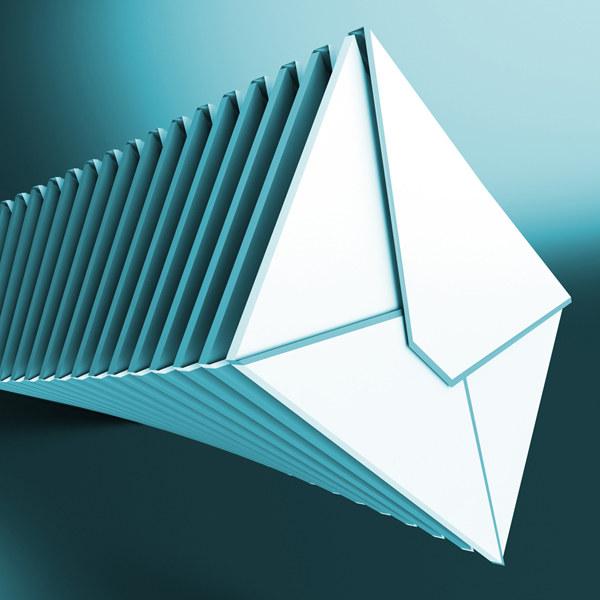 The beauty of email is that it carries the personal touch, always reaching its intended audience. No hours wasted researching Facebook’s re-posting algorithms or engaging in the “Best Time to Tweet” debate, then nervously checking every five minutes for Likes and Favorites. A well-written email “blast” can be targeted toward your relevant, interested contacts, like people who follow your blog! This can prove more valuable for your sales than ten posts that are subject to Facebook’s uncrackable algorithms and well-guarded stats. Emails also have comparatively high sales potential. Since the inception of email, people have been expecting to see promotional offers in their inbox, so they are more receptive to sales pitches via that platform. All it takes is a good call to action to guarantee yourself some clicks. Also, emails don’t disappear. Sure, someone can delete your email and never see it again, but they’re not going to miss it if they happen to skip out on answering email that day, like they would if the same info were on Twitter or Facebook. If the email makes it to their inbox, chances are it will at least get a pair of eyes on it. And if you’ve targeted your email blast to the right people, it will be the right pair of eyes. It’s important, for professional, ethical, and even legal reasons, to send your emails only to people who have asked for them. This is why your blog is a good place to start. Your followers have already expressed interest in receiving information about you and your work. Sticking to this rule starts you off on the right foot and keeps you honest. Marketing is not about spamming your friends. It’s about providing real, relevant, robust content to people who want and can use it. Those who didn’t ask for it—like your college hairdresser you haven’t seen in 15 years—aren’t likely to help you out much anyway, so leave them off the list. A Picture Is Worth A Thousand Sales: Wait until your book’s cover art is ready before you send out your email. In almost all circumstances, you should be ready to accept sales at this point, so the book will be in hand. Then wow your contacts with the big, bright image of your book’s front cover at the top of the message. Most email providers will block your image, so it’s important to make it clear in your subject line that this email is about your new book. Your contacts will want to get a glimpse of that cover. Work on Your Hook: The subject line of your email should be short, relevant, and clear. A simple “Now Available” or “Order Now” before your book’s title should do the trick. Keep it Simple: Just because the body of an email doesn’t limit character or word count doesn’t mean it’s time to run wild. Short, compact, readable paragraphs and quotes will impress people more than a dissertation on your brilliance. Cap the whole thing at 200 words, which should probably include a short description of the book and excerpts from any endorsements you have received. Lead Them Away with a Good CTA: You’ve probably heard about the importance of a good call to action. This is by far the most critical part of your email, where you ask the reader to click on a link and visit the actual place they can buy the book—probably a page on your website if your book is self-published. Come up with a clear way to prompt the reader to buy, then hyperlink the phrase to the URL. Don’t use language like “click here,” which can secure a one-way ticket to the Spam Box. Steer Clear of Spam: Avoid clever formatting tricks like bolding or capping text, over-using the exclamation point, or bogging down your email with unnecessary links, which will just confuse your reader and dilute the CTA. Etiquette and Extras: Make sure you use the bcc field when sending to your contacts to protect their privacy. Failing to do this will not only make you look like a rookie, but could get you in trouble. It’s also advisable to add an unsubscribe option at the end of your email. If you use an email service, they should take care of these details for you. Remember, your marketing campaign should include many forms of social networking. Your social media, emails, and blog should all work together to ultimately lead back to one central location where your book can be purchased!